When I was in high school in Mexico City, Tecamacharlie’s was one of the most popular meeting spots. The name came from Tecamachalco, the neighborhood where it sits tucked away in a corner, and the chain of Restaurants it belongs to, Anderson’s Carlos & Charlies. There, my friends and I would meet some Friday afternoons after school, to have a late and long lunch or comida and embrace the weekend. Even before school started those Friday mornings, there would be one thing in my mind: Tecamacharlie’s top notch Caldo de Camarón. 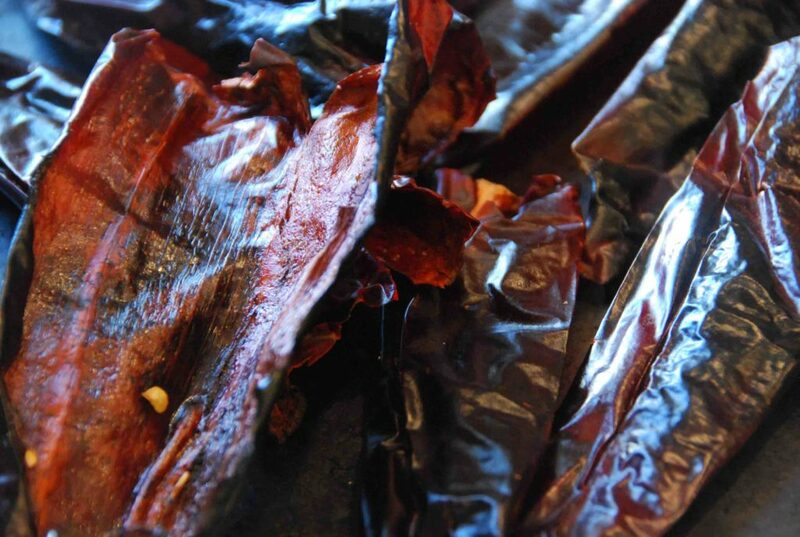 A rich and thick soupy broth made with dried and salted shrimp, and seasoned with a base of Guajillo chile sauce. A soup so flavorful and filling, it was served as a courtesy as soon as you finally sat down in that incredibly busy and loud place. The waiters brought it out of the kitchen still simmering, served in a little caballito, the little glass shots used to serve Tequila. There were plump limes already quartered at the table, waiting to be squeezed into the soup before you drank it in one gulp. If you were lucky, the bottom of the shot had a shrimp, and maybe a couple pieces of potato and carrot. Then you could stick your fork or finger in there, to eat those little treasures that tasted like adventures at the sea port. Far away from the City. That was 20 years ago and I haven’t been back to that Restaurant since those teen years. So I can’t vouch for how good it is these days… Plus, nostalgia has its way of overpowering memories sometimes too. 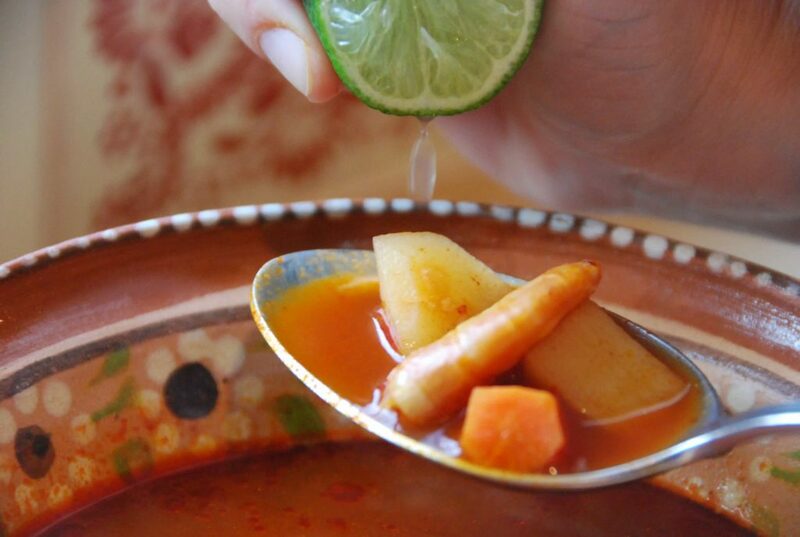 But one can find that Caldo de Camarón, with slight variations in many restaurants in Mexico city, and it is even more popular throughout the long Mexican coasts. The latest one I’ve tried and I think even a better one, regardless of the power of nostalgia, is at one of the Guadiana Restaurants, which I always visit each time I go to the city. As much as I have looked, there is no Caldo de Camarón to be found around DC. But one can find the handful of ingredients that the soup calls for. Although they are just a handful, they have enough personality to power a rock band. The dried shrimp, of course, pictured above. Which need to be soaked for 5 to 10 minutes, as they have been salted not only to concentrate their flavor but also to preserve them, so the salt is, truly, intense. Then the shrimp are rinsed and cooked in water, creating a broth which provides the main and matchless flavoring of the soup. 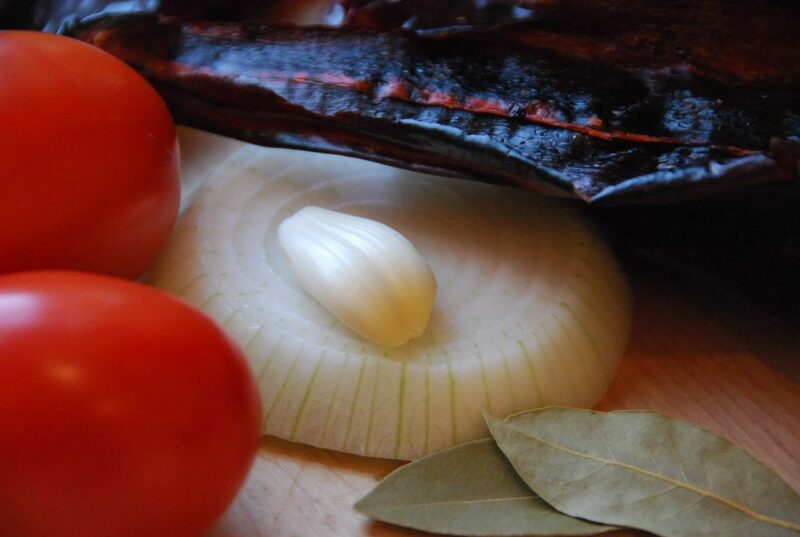 They are then simmered with one of Mexico’s workhorse combinations: onion, garlic and tomato. Some people add parsley to the mix. Some add Bay Leaf, like me. That goes into the blender, and then strained into a pot with some hot oil waiting to season the mix. Once seasoned, in goes that deep amber colored dried shrimp broth. I like to add more than the usual recipes call for, so that neither me nor my guests have to be hunting those little soft chunks in the soup bowl. When the shrimp have cooled, remove their heads, tails, and legs. Most cooks keep the shells on. They are a salty and crunchy addition in the soup. However, you can remove the shells if you feel like it. For a softer feel. Then cook for 10 more minutes so all of the flavors can come together. Do serve the soup really hot. And always, always, always, have fresh limes ready to be squeezed in the soup. That fresh squeezed lime juice is what makes all of the flavors in the soup, truly shine. Cover the shrimp with cold water and let sit for 15 minutes. Drain the shrimp, rinse them and place them in a medium pot. 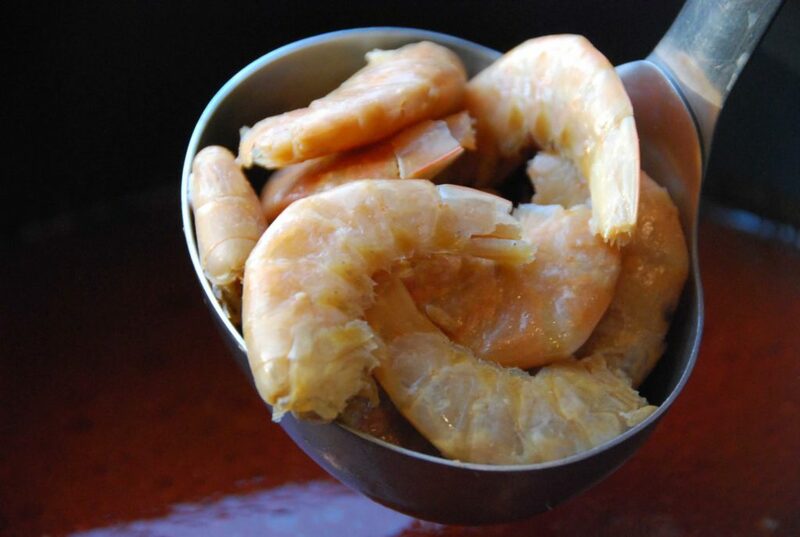 Cover the shrimp with 10 cups of water and bring to a simmer over medium-high heat. Once at a simmer, lower the medium heat and simmer for 10 minutes. Strain the broth, reserving both the broth and the shrimp. Allow everything to cool. Once the shrimp have cooled, remove the heads, tails and legs from the shrimp. Be sure to keep the shells on the shrimp if you want them to add some crunch to the soup. 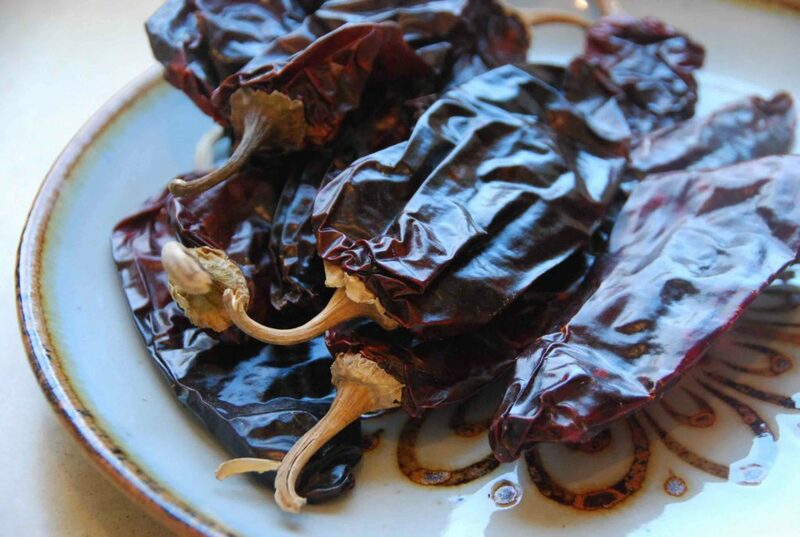 Remove the stems and seeds from the chiles and place them on a hot comal. Toast until their color changes to opaque, for about 10 to 15 seconds and flip to the other side. 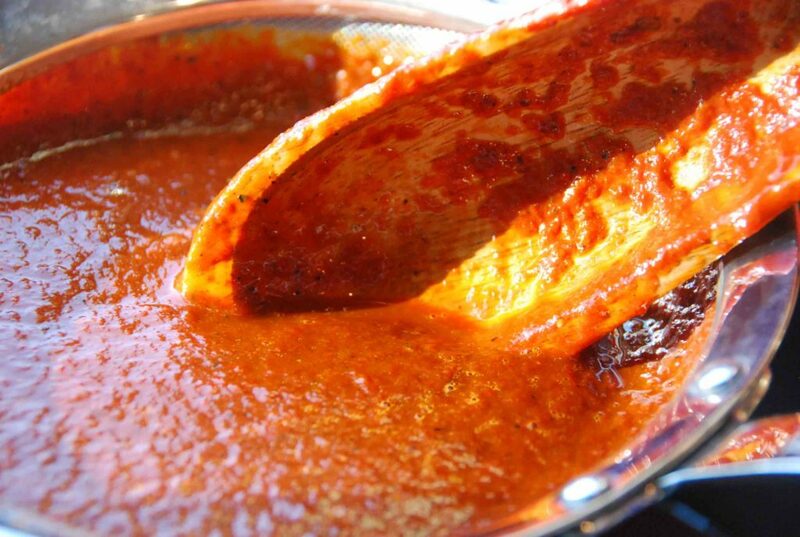 Place the chiles, tomatoes, garlic, bay leaves, and onion into a saucepan and cover with water. Simmer for 10 minutes over medium heat, then puree until smooth. 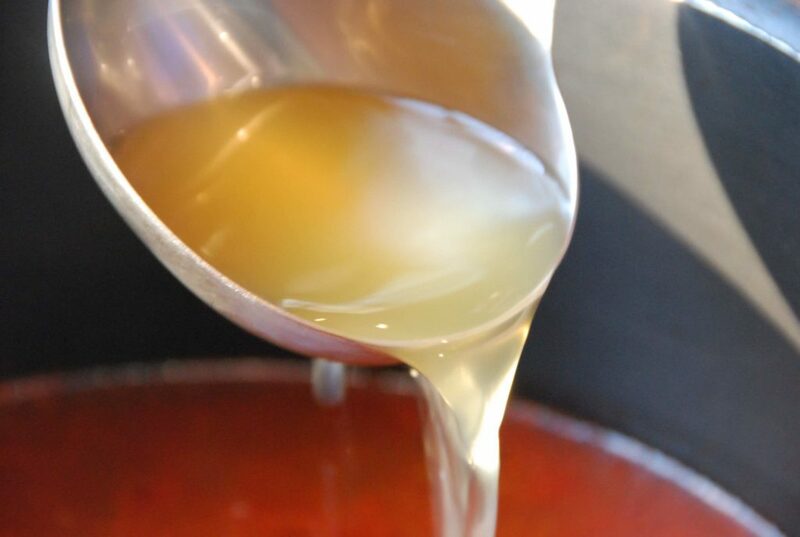 Over medium heat, add two tablespoons of oil to a large soup pot. Strain the puree over the oil and then simmer for 8 to 10 minutes over medium-high heat, allowing the puree to season and thicken. 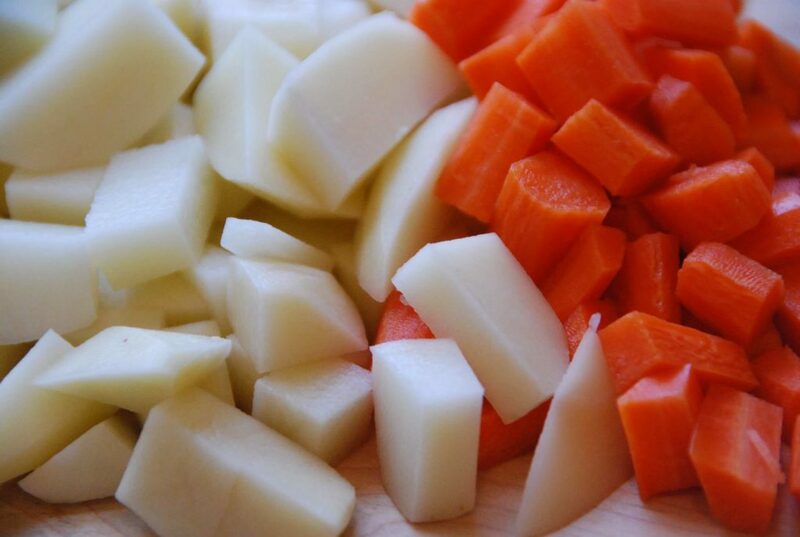 Add the shrimp broth, potatoes, carrots, and shrimp to the puree and simmer for 10 minutes over medium-high heat. 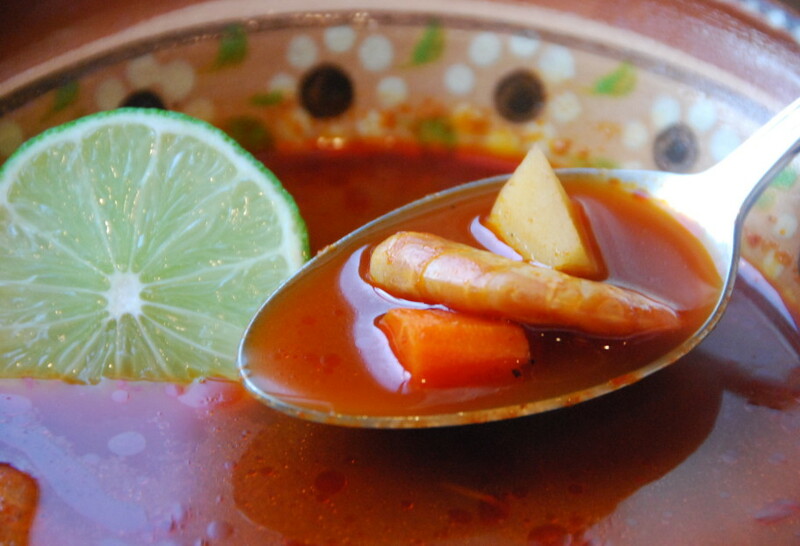 Serve the soup with fresh lime to drizzle over the top. Hi Pati, can I use fresh shrimp? If so, how would I go about doing so? Hola pati un día descubrí por casualidad tu programa pati’s mexican table y desde el primer momento lo ame me hizo recordar los platillos de la abuela. Ahora grabó tu programa y hago tus recetas para darle más variedad a mi cocina yo hago un caldo de camarón con una receta muy parecida a la tuya que un día me inventé cuando tenía 14 años gracias por seguir enriqueciéndonos con tus recetas. Saludos desde Austin Tx. Hi Erica, Will try to post soon! I have powdered dry shrimp from a Latino woman from Tularosa, New Mexico and fresh/frozen shrimp. Do you think I can come up with a soup almost equal in flavor to this recipe? I have lots of shrimp shells for stock. What would you suggest? Thank you so much for this recipe. I have been searching forever for it. Thank you also for your wonderful show. My kids (aged 11, 5, and 3)and I have a tradition of watching one episode together every weekend. We all have our favorites and keep a list of recipes that we should try together. They honestly choose your show over cartoons and other movies! Hi Jessica, I hope you try the Caldo de Camarón; you will have to let me know how it turns out. Thank you for watching with your family!! I saw your show for the third time today on PBS and your recipe for FISH OVER FENNEL SALAD WITH JALAPEÑO AND OLIVE SALSA had me diving head first into your website and its collection of recipes. I know I have a lot of baking ahead of me in the months to come. When I came upon this recipe, my eyes filled up with tears. I have been on every site imaginable trying to find this recipe. You see, I lost contact with a dear friend back in 97′ and have had no luck in finding her and I miss her dearly. One night her husband made this soup while I was visiting and I could not stop eating it. I think I had three bowls with a generous addition of hot sauce and lime added to my bowl. Unfortunately, she moved before I could get the recipe for his soup from her, and now I have it. I will be making this soup very soon. Thank you for the return of fond memories and a recipe for a soup I just can’t resist. Best Wishes! Best wishes to you!!! I hope you enjoy the shop when you make it! I looked over the recipe and comments below. Good thoughts and ideas. Northern Mexico about 100 miles from Nogales. They couldn’t get fresh fish in her village, so they consequently use lots of dried fish in their dishes. One I recall she made some sort of patty then use the dried shrimp as the base for her soup. It was delicious. We didn’t think to ask for that particular recipe before she passed away. Do any of your reader know this particular recipe or you might know what I’m talking about. It was some what clear with some veggies, unable to remember what vegetable she used. I can’t remember if she use the dried shrimp in her patties and then boiled the patties or add the more dried shrimp in the soup base as well. Hope you or someone else can figure what I’m talking about. Does it have to be the big shrimp? here in Monterrey it’s easiest to get the teeny tiny ones. thanks! Absolutely not, you can also use the smaller ones too! Hola Patti, Your family’s Caldo de Camaron New Year’s Eve tradition sounds so lovely! I will have to try it your way with the fresh shrimp, too. It sounds fabulous and hearty!! Se ve delicioso. Lo voy a intentar esta semana a ver si me sale igual de sabroso. Well Pati, I tried your Caldo de Camarón recipe. 2 recipes down, and extremely happy with the results. I’ll keep trying more! Quick question: should I puree the chile/garlic/tomato/etc. mix with the cooking water, or w/o it? You don’t need to add the cooking water, as the tomatoes will be juicy and mushy… But if you want to add a little, like 1/4 cup or so, it’s ok too! As a Chilanga living in NJ, I greatly appreciate your work! Love caldo de Camarón, I used to have it at Tecamacharlie’s myself! And yes, it was mouth-watering… I will try it this week and will let you know how it went. My husband (a chef’s son – thank you very much) will hopefully love it as well. I greatly enjoy reading your posts: El Farolito, La Costera @ Acapulco, Feria de Chapultepec… You help me remember all those wonderful things. So thank you for bringing my country a little closer to me. Hola Tamara, I am sorry you are unable to find less expensive Mexican dried shrimp! I found mine at my local latin grocery store for $5 a pound and in Mexico it is much cheaper. Hi, I just recently tried your recipe of Rajas caon queso y arroz and my husband and I loved it!!! looking forward to trying different recipes. I’ve tried recipes from other tv shows and I really haven’t liked any and their measurements and instructions are always off. But yours was perfect. You are incredibly kind to write such a complimentary post. I can’t thank you enough for your support. I hope you continue to enjoy the show, and I will keep you updated about the status of my cookbook! 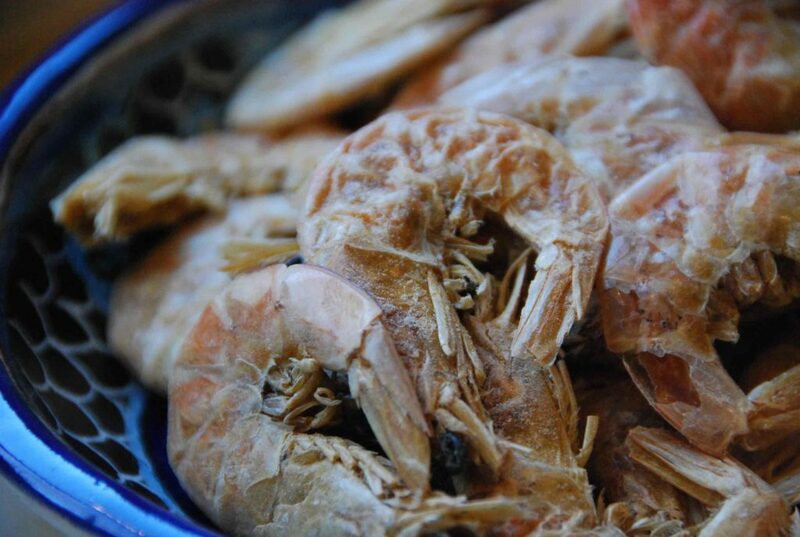 Any online sources for dried shrimp? All I can find are the very small shrimp in the Thai & Korean stores. Yo tambien probe ese delicioso caldito hace ya muchos años, voy a tratar de hacerlo y ver si sale bien. Saw a program of yours just the other day. You made a table condiment by boiling pineapple skins and adding hot peppers and ??? could you give me that one more time. I wasn’t fast enough to write it down and thought I would remember, but no such luck. I just love Mexican food, and your show is great. I’m not really sure what episode or recipe you are referring to, do you remember which episode it was? I have not been able to find a 7 mares receipe. Do you have one that I missed? During Cuaresma it would have been good to make. Hola Jose! I will try to find a recipe for you! I just discovered your TV Show, I can not believe I haven’t seen it before!!!! I immediately went to my computer and found your web site. I am from Sonora, Mexico and as you may know we do not cook Mexican food from the South of the Country, because we do not know how!! but we love it…. I read some of your recipes on your site and I really like them, I definitely want your cookbook. Tanto le gusta a mi familia el caldo de camarón que compré en México el que venden de Knorr en polvo……. Claro que no sale igual!!!!!!!!! Pero quizÃ¡s si lo compongo con lo que tu pones se mejore???? Creo que aquÃ­ no he visto el camarón seco. Quién no se tomaba todos los ‘shots’ de caldo de camarón que sobraban en la mesa????????? MMMMM!! Ay…Ya se me antojó demasiado !!! Paty, Que rico!! el caldito del Tecamacharlie’s sigue igual, el lugar mas vacio, (yo he ido en fin de semana) esta a gusto para ir con los niños porque tienen area de juegos, ojalÃ¡ vayas cuando vengas a México. Feliz año, un abrazo. No me digas!! Me preguntaba si seguirÃ­a bueno… Hace años, años, que no voy. Llevaré a los niños cuando visitemos México. Feliz año también. Me encanta recibir tus mensajes aquÃ­, gracias!